Give them lots of extra attention, love, and snuggles. Keep up with your normal routines as much as possible. Use treats, toys, and familiar objects to comfort them when you leave the house. 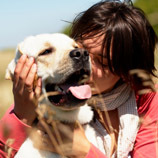 Here are three more ways you can help you precious pup adjust to life in their new home. When you move, it’s exciting to furnish and decorate your home with all new objects, bedding, pillows, and towels. 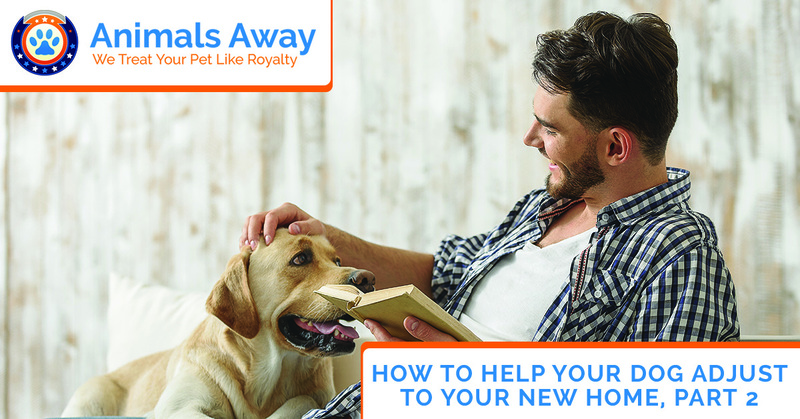 But when you replace old household items with new ones, you’re taking away familiar scents that can comfort your pup as they transition to life in a new place. Replace old items gradually so that you can keep familiar items and scents in the new home to help your pup adjust. According to Cesar’s Way, he recommends not washing your dog’s bed, bed cover, and blankets until you have been in the home a little while. Washing these items can strip them of the familiar scents that can actually help them feel more at home in their new surroundings. Because your new home will most likely have a new layout, different features, and unfamiliar exterior elements, it is important to establish boundaries to keep your dog safe, healthy, and happy. You might want to keep your dog out of a certain area in your house, so you will want to create a barrier right away using a baby gate. If you want your dog to use a specific part of the yard to do his business, set this area up and begin leading him to that area right away. Stick to any boundaries you wish to establish because, as we’ve mentioned, dogs love routines, and will stick to those that they’ve learned. We hope you find these moving tips useful as you help your dog settle into their new home. Most importantly, you will want to spend lots of time with them as they get used to their surroundings. 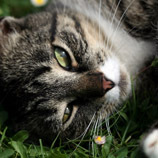 Play with them in the house and outdoors and be patient with them as they learn the new smells, sights, and sounds of their new living space. If during your move you need to transport your dog from point A to point B safely, whether you’re moving domestically or internationally, Animals Away can help. 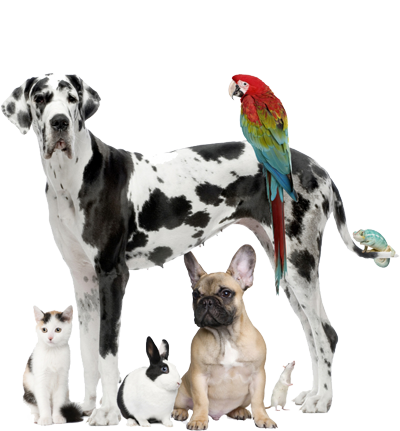 We are the Top Rated Local® dog shipping company with more than 20 years of experience shipping pets. 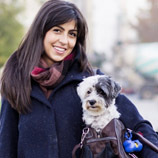 Call us today to request a dog shipping quote and let us reduce some of the stresses of relocating.